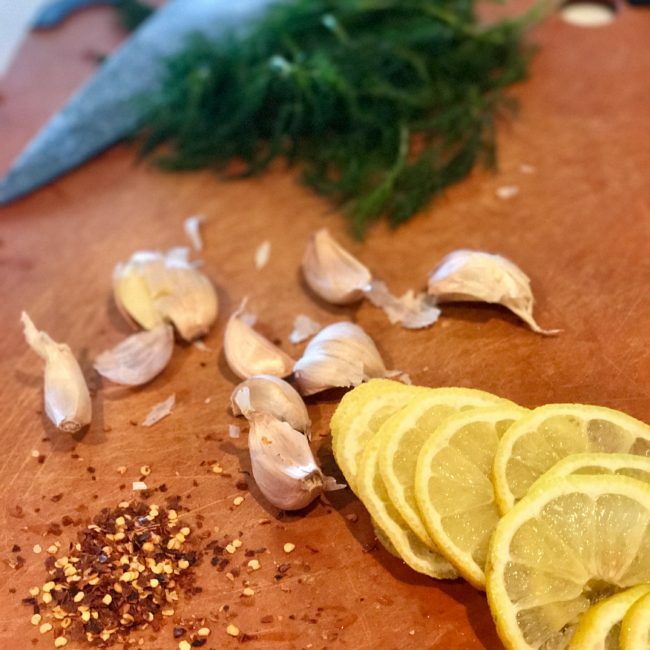 I manage my family’s sodium intake when cooking at home by using a variety of big flavor sodium-free seasonings, lots of fresh herbs, citrus, fresh garlic and always a couple pinches of mildly flavored Maldon Sea Salt. I like Maldon because the large flaky crystals crumble easily meaning you can either sprinkle over foods using your thumb and fingers or gently rub into proteins and vegetables. Chefs all over the world love Maldon sea salt because, unlike iodized table salt, it doesn’t add a bitter flavor to foods. 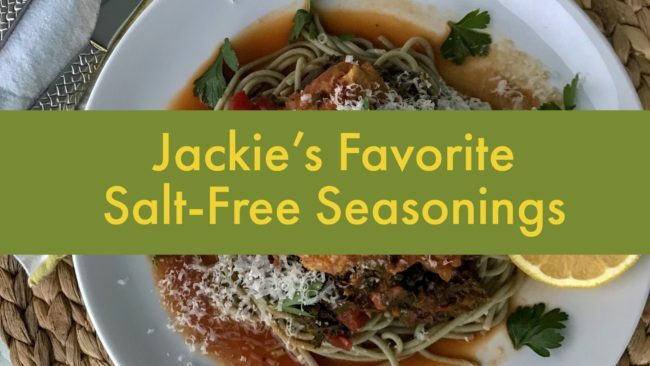 Another benefit to using seasoning such as “Pizza” or “Mexican Fiesta” is tricking your family (and your tastebuds) to eat more vegetables, lean proteins and whole grains. 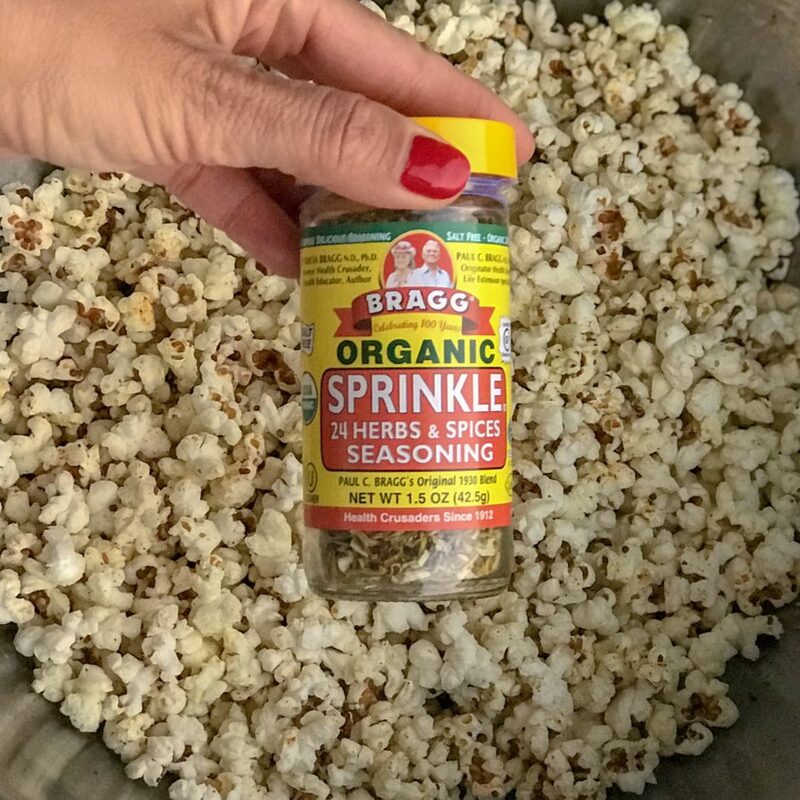 When using these seasoning blends, the smell and taste will conjure up the comfort flavors of a hot, cheesy pizza or even a loaded enchilada. Meanwhile, the waistline and heart will thank us because we get all this flavor without the artery clogging sodium, preservatives and saturated fats. Half-court shot for the win! 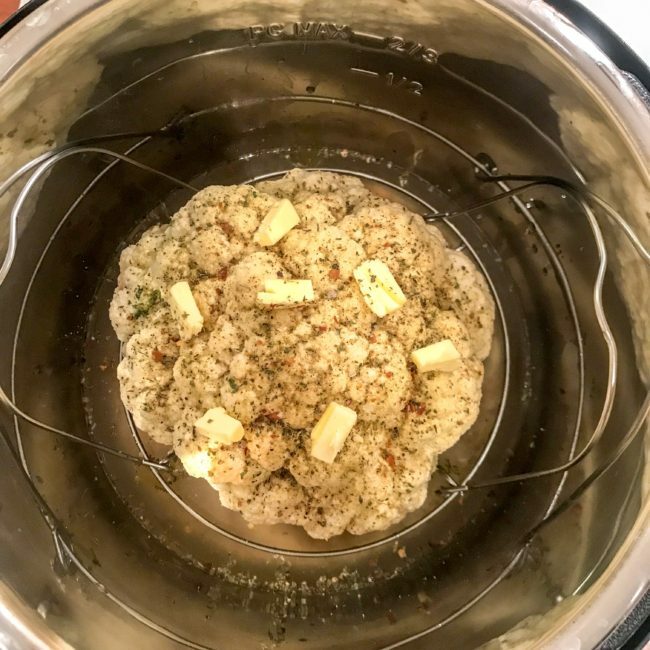 For example, here is my recipe for “Pizza Style” Cauliflower which is just a whole cauliflower sprinkled with pizza seasoning, maldon sea salt, butter and chicken stock and then cooked for just 4 minutes in the Instant Pot. Insert steam rack into the Instant Pot. Remove leaves from washed cauliflower and trim the core so the cauliflower will sit flat on the steam rack. 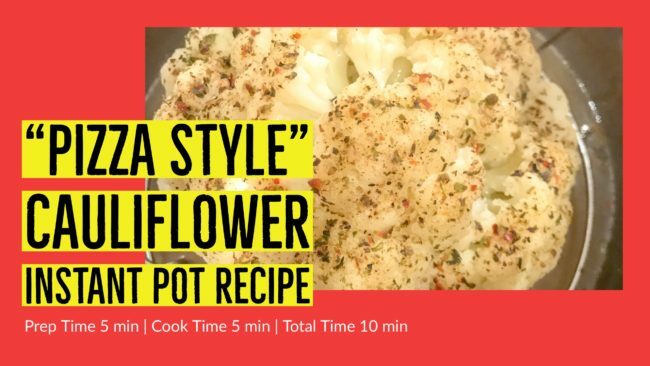 Pour the liquid of your choice over the cauliflower. Sprinkle generously with pizza seasoning, salt and freshly ground pepper. Arrange butter evenly on top of cauliflower or drizzle with olive oil. Lock the lid. Cook on high-pressure for 4 minutes. Use the “Quick Release” method to vent the steam. Open lid. Using oven mitts, gently remove the steamer rack using the handles on the sides. 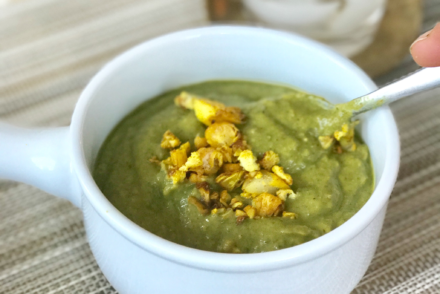 Enjoy as a vegetarian entree or a side dish. 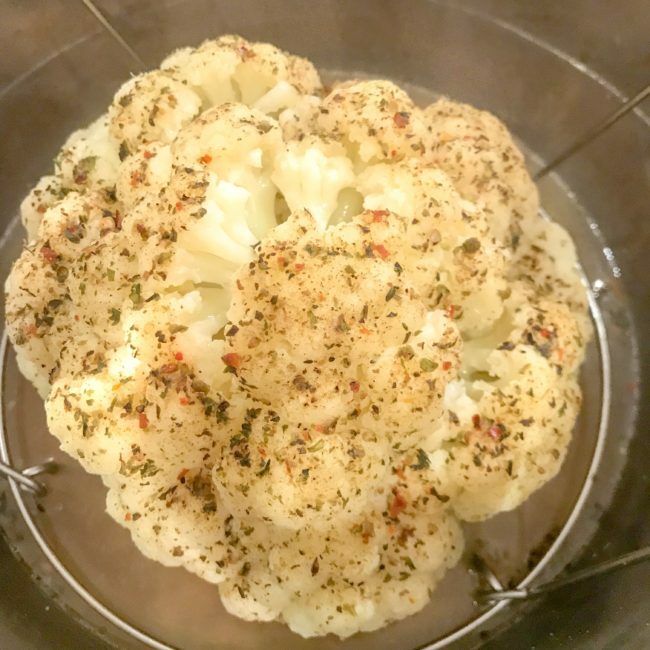 Just as you would do with a regular pizza, sprinkle this “pizza style” cauliflower with fresh lemon, parmesan, pepperoncini or red-pepper flakes for even extra zing! Note: Add an additional minute of cooking time if you prefer softer cauliflower and/or want to turn this into a mash. I use Bragg Organic Sprinkle, an original blend of 24 organic herbs and spices, on everything from eggs to popcorn and of course vegetables and proteins. It contains no additives, no preservatives, no fillers and most importantly, no salt. Give any dish from sweet potatoes to cauliflower that mmmm pizza taste with a few sprinkles of this perfect blend of onion, bell pepper, fennel, oregano, garlic, basil, chilies, parsley, thyme, marjoram and celery flakes. 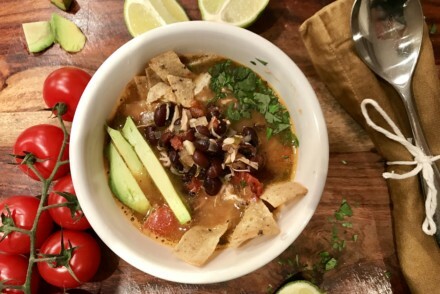 Take any protein or vegetable for a trip south of the border with a teaspoon of this Mexican blend of chilli pepper, onion, tomato, paprika, cumin, garlic, cilantro, oregano and red pepper . Transport your tastebuds to northern India, Pakistan and Afghanistan with this mix of spices originally created for dishes cooked in a tandoor or a traditional clay oven: paprika, cumin, coriander, garlic, ginger and cardamom. Use this blend of herbs whenever you want to jaunt to the Mediterranean. Sprinkle on chicken or fish with a little sea salt, olive oil and lemon juice. Saute, roast in the oven or throw it in your Instant Pot for a few minutes. Use on eggs, vegetables, popcorn, rice. Anything! 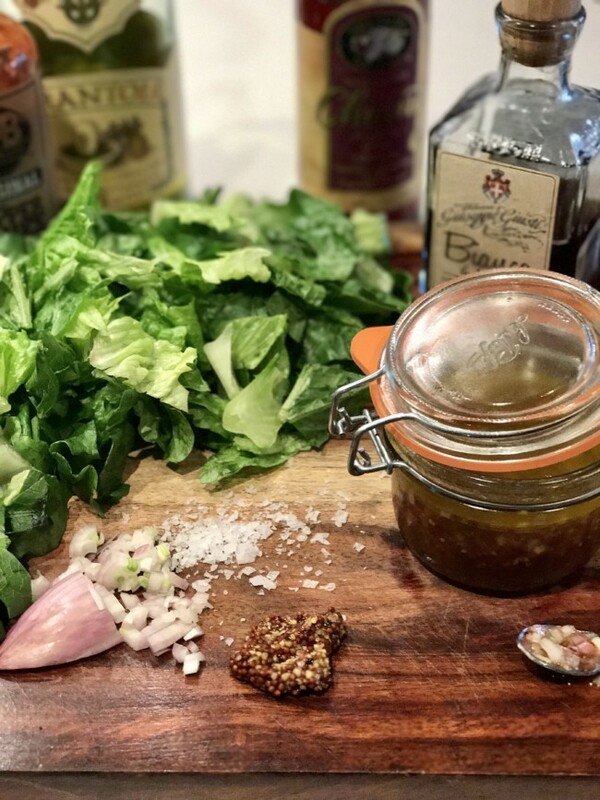 Every healthy kitchen needs a jar (or 3) of Italian Seasoning. As always, thank you for stopping by Jackie Unfiltered. Once you start reducing the sodium that you use at home, you will begin to notice the “salty” food in restaurants and fast food. 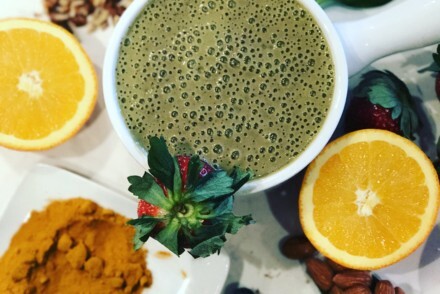 Train you and your family’s taste buds to crave healthier food. PS: We do receive a small commission if you purchase products suggested here. 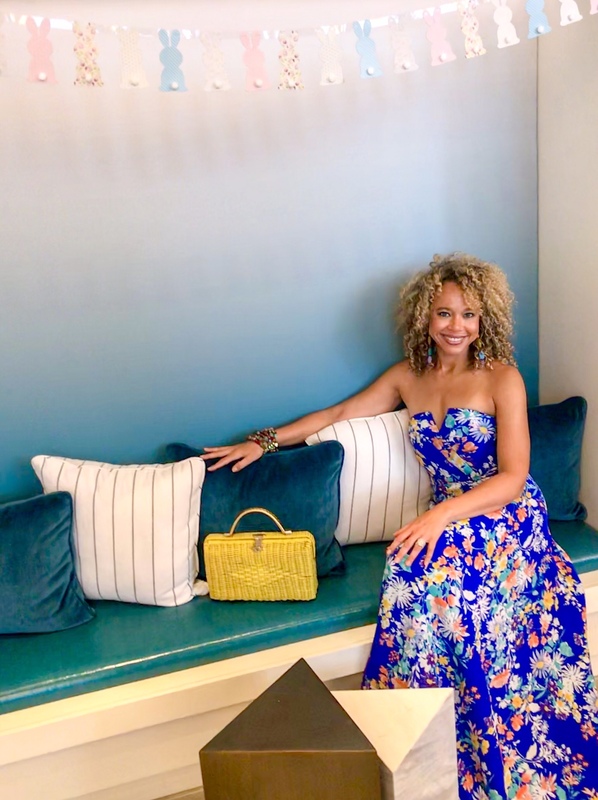 Can I live?